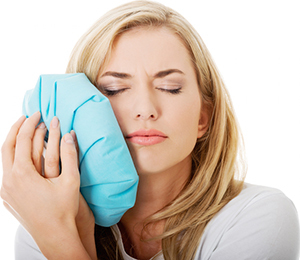 If you are facing tooth loss or tooth extraction and you’re ready to replace a tooth, contact our team today. Feel Confident In Your Smile With Beautiful Dental Implants. 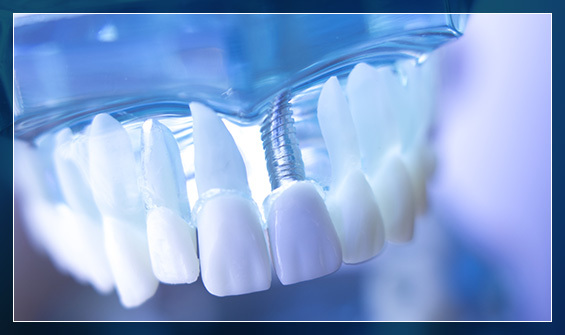 Whether you’re missing a tooth or you’re a candidate for implant-supported dentures, dental implants are a wonderful way to restore the functionality and beauty of your smile. At Charlotte Progressive Dentistry, we take the entire patient’s oral health into consideration before recommending the best dental treatment, and we’ll take the time to discuss your needs and wants before getting started. If you’re ready to transform your smile, schedule an appointment today. When you need root canal therapy, we can treat most cases right here in our Charlotte, NC dental office without the need for a referral to a specialist. Dr. Gregory Camp and Dr. Susana Junco have the experience and training necessary to offer you comfortable, successful root canal therapy. In most cases, the need for root canal treatment stems from having an infection inside your tooth or near the root. For many people, the first symptom they experience is pain and that is why many patients associate root canal therapy with pain. In most cases, however, root canal therapy will eliminate your symptoms and allow us to save your tooth. Without the proper treatment, an untreated root canal infection can lead to an extraction. For most patients, keeping their teeth is the healthiest and most affordable option available. When you lose teeth, your overall oral health suffers due to bone loss and the shifting of your natural teeth that occur after an extraction. This creates problems with your bite, your ability to chew and speak properly, and your appearance. That is why we make every effort to save your tooth! Before we being any procedure, we make sure that you feel completely comfortable by placing localized anesthetic to numb your tooth. We give ample time for the anesthetic to take effect before we begin. 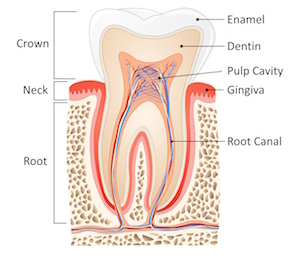 Once you feel comfortable, we will make a small access area into your tooth’s root canal so that we can completely clean out any infection and damaged tissue. Next, we will place a medication to assist in healing and prevent further infection. Then we will fill your root canal and seal the access area to keep out food and bacteria. Root canal therapy should feel no different than having a filling. Once we complete your procedure, your body’s natural immune system will take over and begin the healing process. Your symptoms should subside within a few days. Sometimes, residual sensitivity remains. That, too, will gradually go away. Once your body heals completely, we will recommend a permanent restoration to protect and seal your tooth. Because root canal therapy leaves your teeth more brittle, a porcelain crown is often recommended. At Charlotte Progressive Dentistry, we custom create each individual crown to match your smile so that it looks completely natural. Since your crown will fit over your natural tooth structure, it will provide support for chewing and speaking. Contact our office today to schedule an evaluation. An exam will help us discover the source of your pain as well as treatment options to restore your health. We look forward to hearing from you!